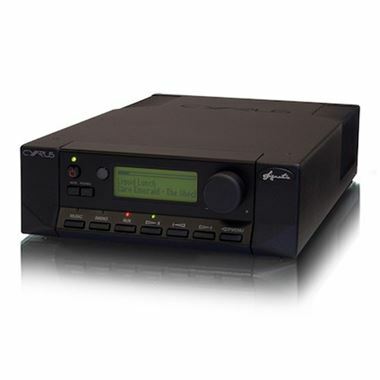 The Cyrus Stream X Signature Music Streamer is a dedicated music streaming source. Stream X Signature uses advanced filtering and resonance reducing techniques to ensure the sound quality produced by the unit is completely unaffected by unwanted signals and noise. Make the most of the latest high resolution music files, or upgrade the quality of your CD resolution music. Our flagship music streamer, the Stream X Signature allows you to browse and select from your entire music collection using the optional colour screen n-remote, or our Cadence app for iOS and Android. Stream from any UPnP or DLNA device, or use one of the streamer’s host of additional inputs to play music from your PC or mp3 player. With simple set up, seamless navigation and sensational sound quality, listening to music just got a whole lot more enjoyable! Based on our blue sky Anniversary System project, the Signature range uses the very best components and engineering techniques to provide music lovers with spine tingling high fidelity performance. For the ultimate hi-fi system, use the Stream X Signature with a DAC XP Signature and a pair of Mono X 300 Signatures. Include a CD Xt Signature to add CD compatibility to your system, and connect the whole system together using Digital Interconnects to ensure you enjoy the full effect of our famous tuning. Listen to the world’s radio from wherever you are. Whether you love music, sports, news or comedy, TuneIn offers over 100,000 live radio stations and two million on-demand podcasts, concerts and interviews.